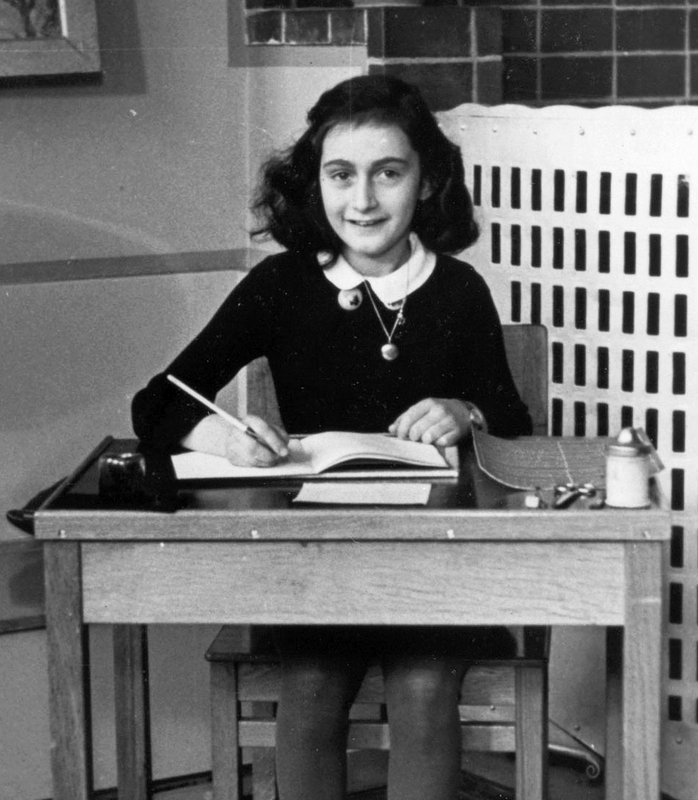 In 1952, Doubleday released the American edition of Anne Frank: The Diary of a Young Girl. For many Americans, the contents of the book were a disturbing introduction to the horrific atrocities that had occurred in Europe. 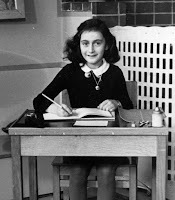 Anne Frank, who was born on June 12, 1929, did not live to see the war's end. She died of typhus in the Bergen-Belsen Concentration Camp in March 1945. The camp was liberated on April 15, 1945. Of the eight people who hid with Anne, only her father, Otto, survived. After the war, Otto Frank returned to Amsterdam and lived with Miep and Jan Gies, his former employees who had been instrumental in hiding the Frank family. It was Miep who had found and safeguarded (but not read) Anne’s diary after the Nazis had deported the hidden Jews. Miep had two versions of the diary: Anne’s first draft and the revised version that Anne had created in 1944, after Gerrit Bolkestein (a member of the Dutch government in exile) encouraged people to keep records of their experiences for the future. Two years after his return, in 1947, Otto Frank transcribed and published some of the diary for his relatives in Switzerland. The diary came to the attention of the Dutch publishing house Contact Publishing, who brought it to market in June 1947 (under the title Het Achterhuis-the back house). By 1950, the diary was in its sixth edition and was being translated into English and German. Shortly thereafter it was translated into Italian, Spanish, Russian, Japanese, Greek and most other languages. In 1953, only a year after its U.S. release, The Diary of Anne Frank was adapted into a Broadway play. The play received the Pulitzer Prize for theater, the Tony Award and the New York Critics Circle Award for Best Play. The Hollywood script and feature length movie that followed in 1959 won three Oscars. This Treat was last posted on June 12, 2012.